I was one among many. In the early seventies, there were always people standing along Massachusetts Avenue with their thumbs out. At the time, hitchhiking was as much a cultural statement as an alternative to the subway line into Boston. A van stopped to pick me up. The driver was a guy in his late twenties. By the time we reached Central Square, five minutes later, the traffic had slowed to a halt and he asked if he could draw me a diagram. “Sure,” I replied, wondering what was coming next. I could see where this was going. I am not sure what I said. But I was not convinced. I grew up in a secular household, and I was dubious about institutional religion. Yet, strangely, there was something about the exchange that made me feel as though I was valued. That was the fi rst time someone shared the Gospel with me. But Paul says something else. He says that the message is itself the power of God. It does not just convey information, it embodies power. It is a “performative utterance” – the very speaking of the Gospel accomplishes something. The Gospel is itself God at work. Trinity Church in Boston’s Copley Square is an architectural treasure. The American Institute of Architects has voted it one of the “Ten most Significant Buildings in the United States.” I attended high school two blocks away on Commonwealth Avenue. On the first day of Ninth Grade, our English assignment was to spend half an hour wandering about in its great expanse, and then write about it. One morning, a year later, I cut class with a friend and wandered into Copley Square. On a whim we entered the church. At the front was an eagle-shaped lectern, molded in brass. Without premeditation, I walked up, unscrewed the microphone attached to the lectern, tucked it into my baggy tweed jacket and coolly walked out to the street. So far as I was concerned, it was just another blow against authority. Three years later, when I was home from college for Christmas break, I found the microphone hidden in my room. At the time I was involved in a Hindu meditation sect called Ananda Marga (Path of Bliss). My immediate reaction was, “That’s bad karma. I better fix this situation.” So I took the microphone back. He was an Episcopal Priest in his early thirties with long hair. I told him my story; I explained that I was on a spiritual journey, and apologized for my theft. He invited me to join him for coffee the next day in Harvard Square at little Frenchstyle pastry shop. He was very low key – not like the guy in the van who drew circle diagrams as we waited for the traffic to move. But his message was unmistakable. He said, “There are some paths that a person explores for a while, and some that last a lifetime.” He didn’t even mention the name, “Jesus.” But I knew perfectly well that he saying that my excursion into Hindu spirituality was just a phase; that eventually I would come home to the Christian faith. I thought, “yeah, right!” But it made an impression. Typically, we understand the phrase “Word of God” to be a reference to the Scriptures. Yet here, the author of Hebrews ascribes to the Word of God a dynamic character not normally associated with a written text; it is “living and active,” it “pierces” and “discerns.” Most readers intuitively – and rightly – grasp this as a reference to the compelling power of the Scripture. Yet there is more; the author goes a step further and seems to ascribe actual personhood to what the reader has assumed to be a written text: “No creature is hidden from his sight, but all are naked and exposed to the eyes of him to whom we must give account” (Hebrews 4:13). “all things were made though him” (v.3), and a few verses later, “the word became fl esh and dwelt among” (v. 14), and it immediately becomes clear that we are talking about a historical person named Jesus of Nazareth. 3. proclaimed ( in the preaching of the Church). The Word of God is, in the fi rst place, a person. We encounter this person in Scripture, but also in human testimony and proclamation. Together, the Word of God written and Word proclaimed mediate the incarnate Word, Jesus Christ. Both derive from the person of the Word, the word “revealed” – but all three are one Word of God, and one dynamic movement of God as He acts and reveals himself among men. The identification of Scripture as the Word of God is hardly novel, though seldom so integrally related to the Word made fl esh. The third form of the Word as “proclaimed” is less conventional. It has nothing to do with the eloquence or effectiveness of the preacher. It extends beyond the formal activity of preaching in the liturgy to any human testimony to the Word of God. 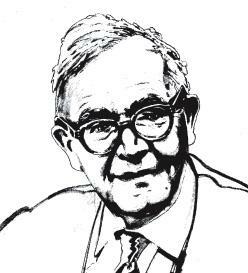 It is simply, says Barth, “man’s talk about God” in which God uses human speech to communicate the Gospel (which is “the power of God for salvation”). Says Barth, “Real proclamation… means the Word of God preached and the Word of God preached means … man’s talk about. Dave was my freshman roommate in college. Four years later I was still living in Western Massachusetts, where we had gone to school, and playing in a band, when he returned to college after a year off. I had always known Dave as a self-effacing and a somewhat depressive personality. But he had changed. He had shed his prior awkwardness, and projected a new lightness of being. “I have become a Christian!” he said. He didn’t draw me any diagrams, or quote the scriptures. He simply shared his joyful exuberance at having discovered Christ. In the preceding fi ve years a dozen people had shared their faith in Christ with me. Each made an impression; each proved fruitful in the end. But it was Dave who made me stop and think. One further development was necessary: I began to read the Bible. When I added the Word written to my experience of the Word proclaimed; Jesus Christ, the Word revealed, became real to me for the first time.